SOLD SOLD SOLD!! 4 Berth Tabbert Caravan With Large Ben Eiller Awning For Sale on Camping Almafra Caravan Park In Benidorm. 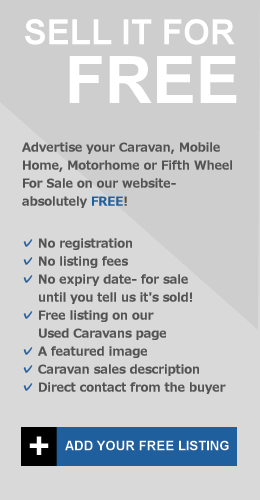 This Caravan & Awning is situated on a large fenced corner plot with a parking space and dining/ seating area at the front of the large paved patio. The plot is near to all campsite amenities and would be a great option for someone looking to use as a permanent/ semi-permanent base. The standout feature is the large expensive fixed Ben-Eiller Awning. This model has sliding glazed windows throughout and glazed patio doors on the front entrance. The walls and ceiling of the Awning have been professionally clad throughout and the floor is finished in a walnut colour laminate to give a real homely feel. The kitchen & WC are accessed through a sliding door in a separate section of the Awning. The Modern red & white kitchen is fully equipped with Fridge freezer, Oven & Hob. The large WC is installed with a flushing toilet & sink and has space available should you wish to install a shower. The inside of the Caravan has been modified to create 2 separate sleeping areas with a walk-in wardrobe and plenty of storage cupboards in-between. The double and twin bedrooms are separated by solid wood and glass sliding doors. Air conditioning is also installed in the Caravan. Mosquito & privacy blinds are installed on all windows. The large paved exterior extends to the rear of the Caravan where you’ll find a storage area with a washing machine installed. There is a large satellite dish included in the sale along with all patio/ dining furniture. 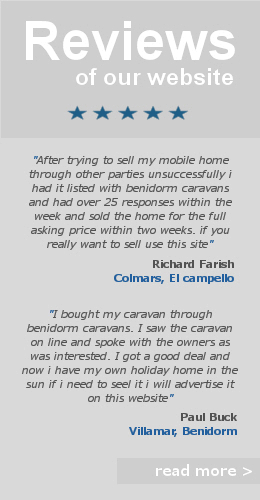 Camping Almafra Caravan Sales, Benidorm Caravan Parks, Benidorm Campsites.